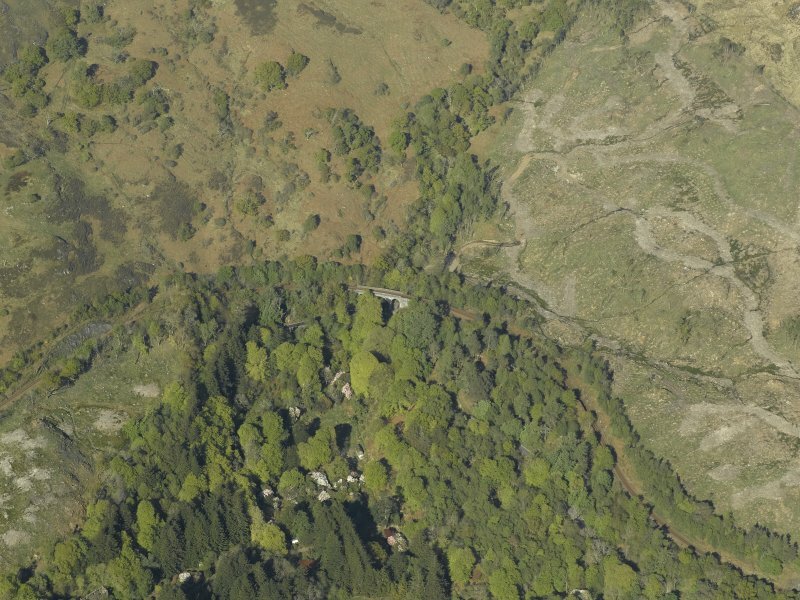 Oblique aerial view centred on the railway viaduct, taken from the WNW . 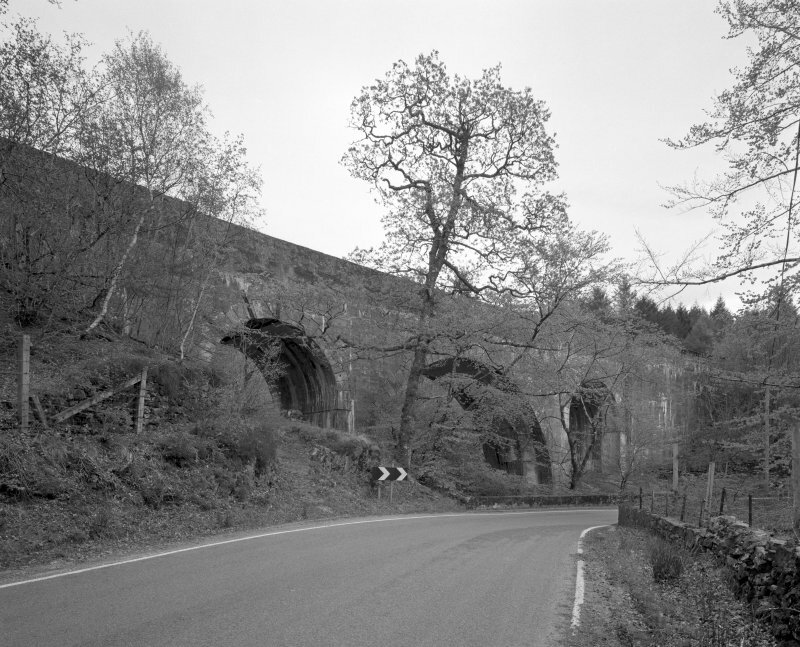 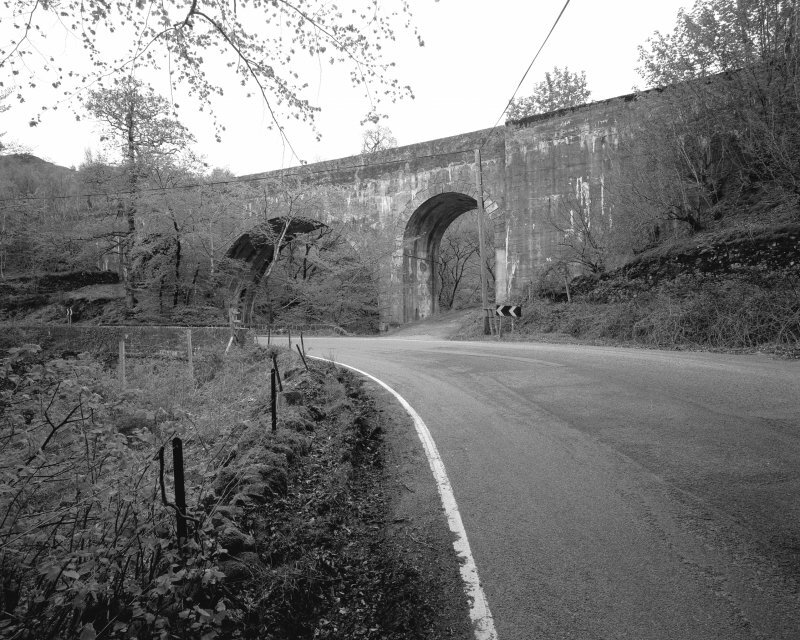 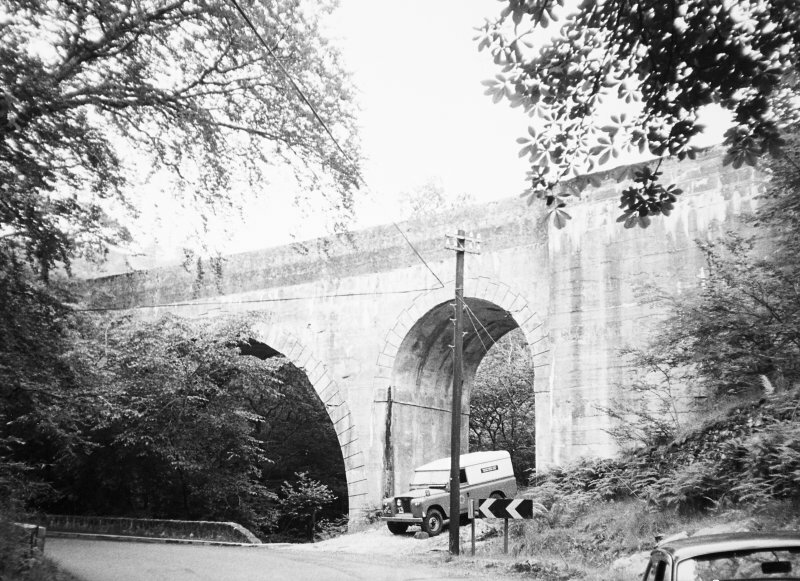 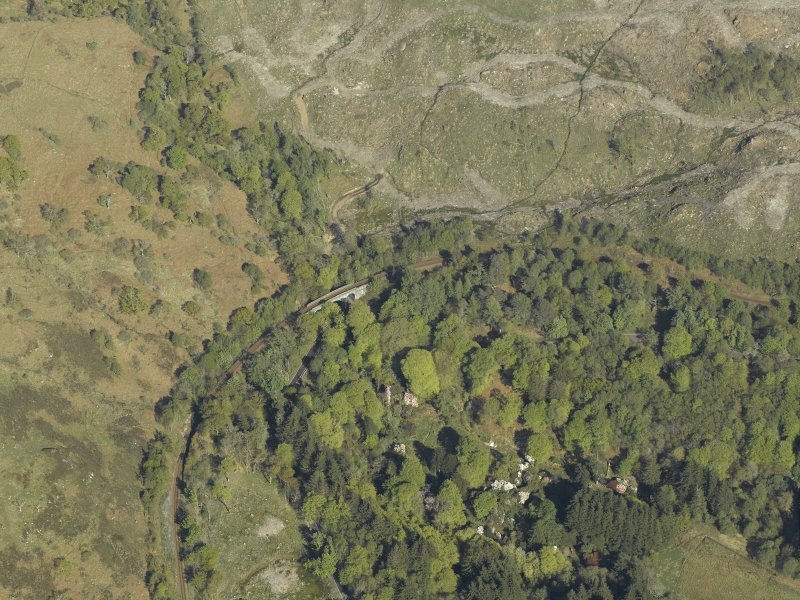 A RCAHMS photographic survey of Larichmore Viaduct was undertaken, during July 1997, in order to enhance and augment the existing National Monuments Record Scotland holdings. 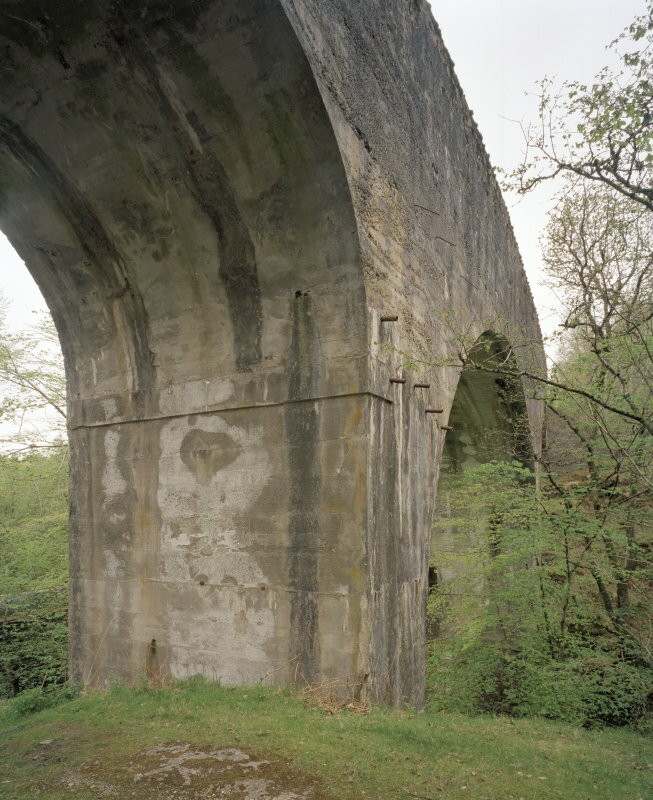 Visited by RCAHMS(MKO), July 1998.